Introducing the latest in our Mother's Day collection, Sorbet! Pops of peach amaryllis and fuchsia peonies are arranged among blue thistle, sword ferns, antique hydrangeas and pink hyacinth, gathered into a glass round vase. Available for pickup in Beacon Hill, or delivery throughout Boston! Order now via the links above! 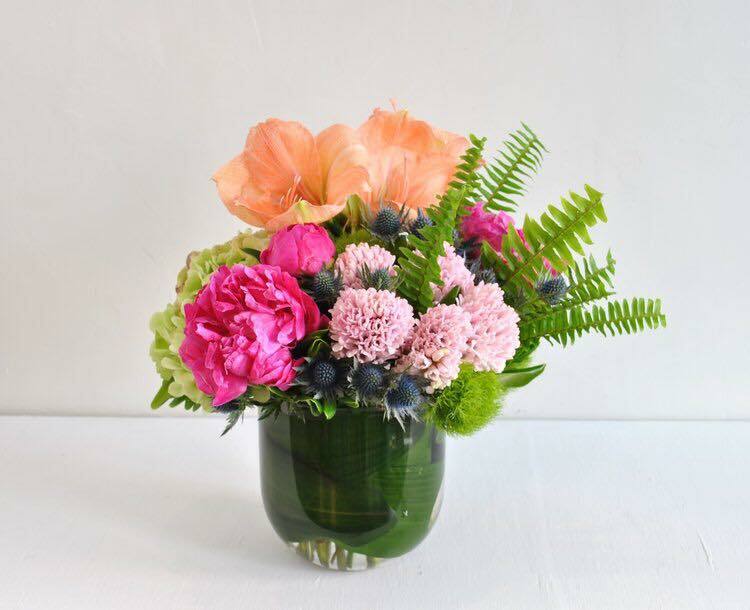 Celebrate Mother's Day with Rouvalis Flowers!